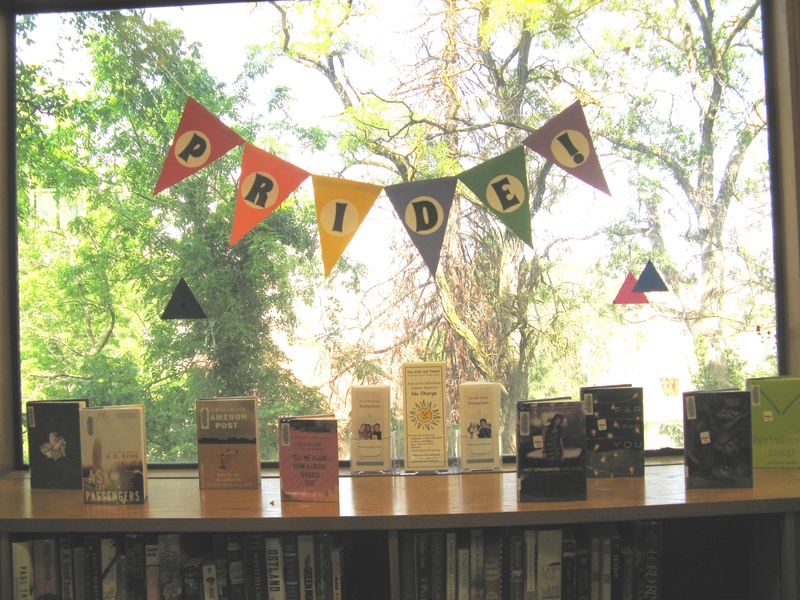 June Book Display: LGBT Pride! 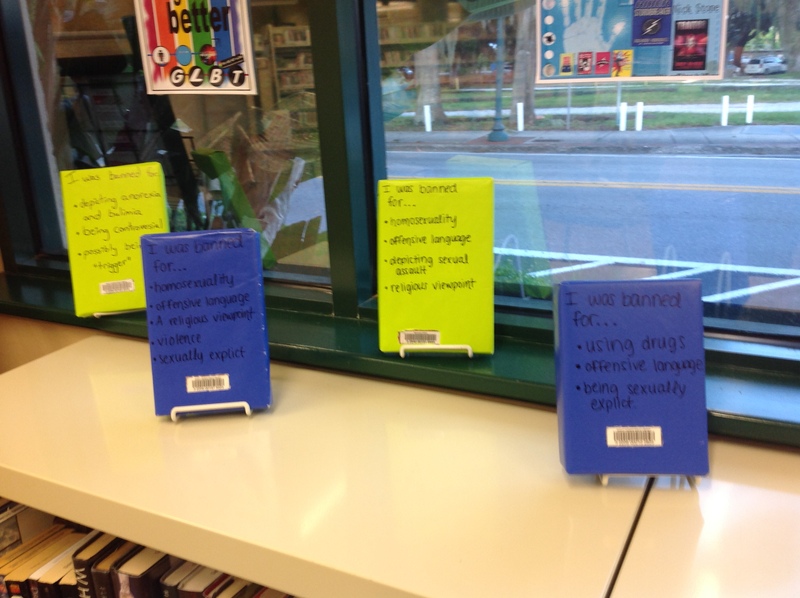 One of my first projects here at my new library has been analyzing the YA fiction and nonfiction. Specifically, I’ve been weeding old titles that don’t circulate well and looking for collection gaps. One of the immediate gaps I noticed in my new collection was a lack of LGBT titles. With June being PRIDE month, I knew I wanted to do something about it. So I went on a shopping spree and snagged some wonderful titles. 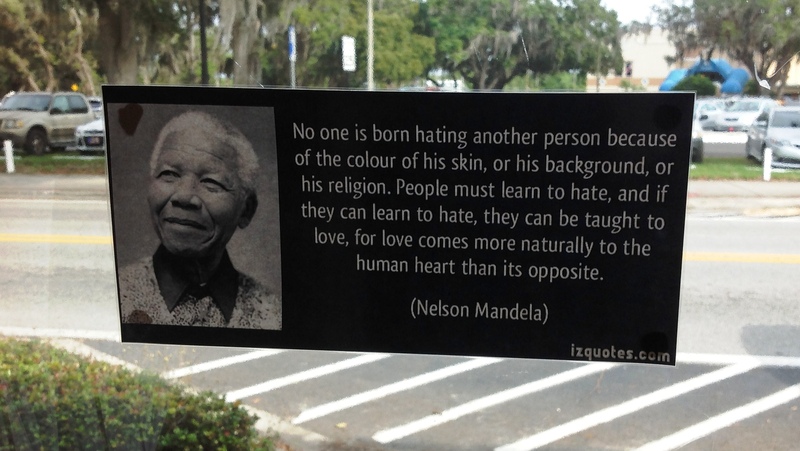 I created a “PRIDE!” pennant banner and printed out LGBT triangles to hang in the window. 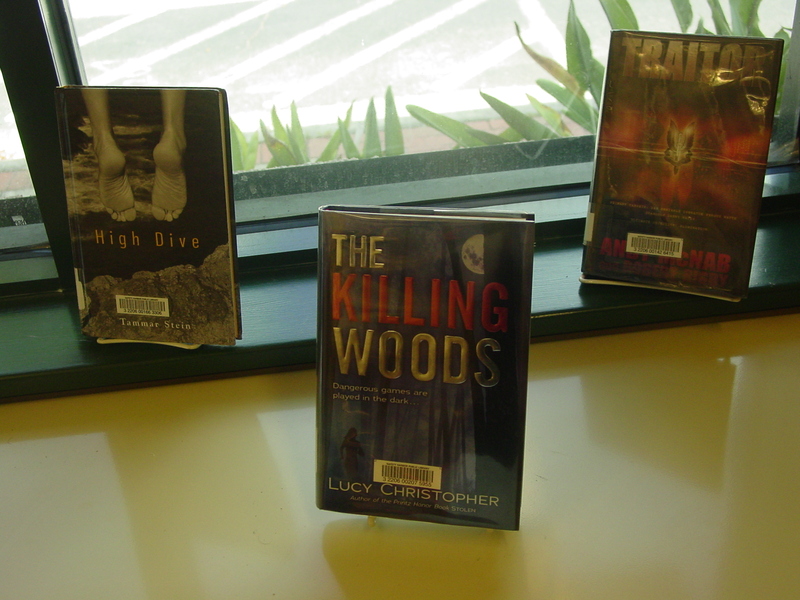 Finally, I arranged the aforementioned titles and put them on display. I’m really pleased with how this display turned out. More importantly, I’m pleased that I can be an ally and promote diverse books. 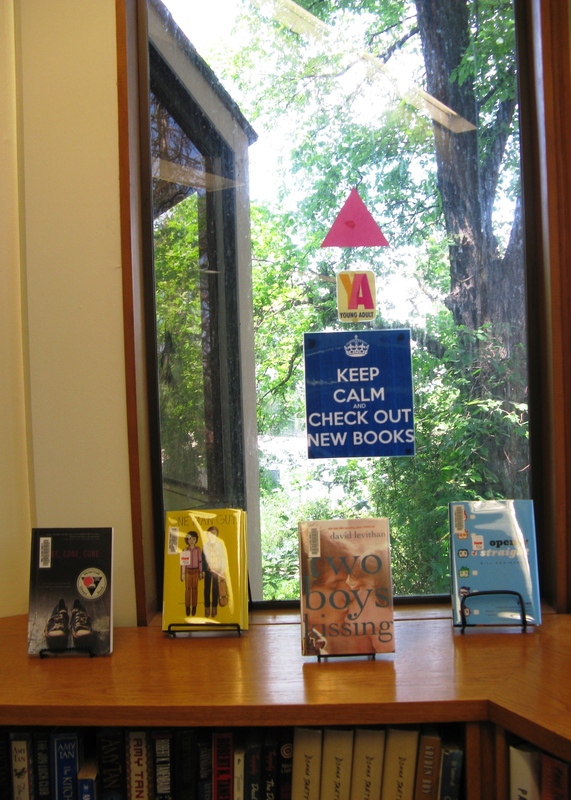 Next year, I’ll expand the display to include additional gender identities (asexual, pansexual, etc.) 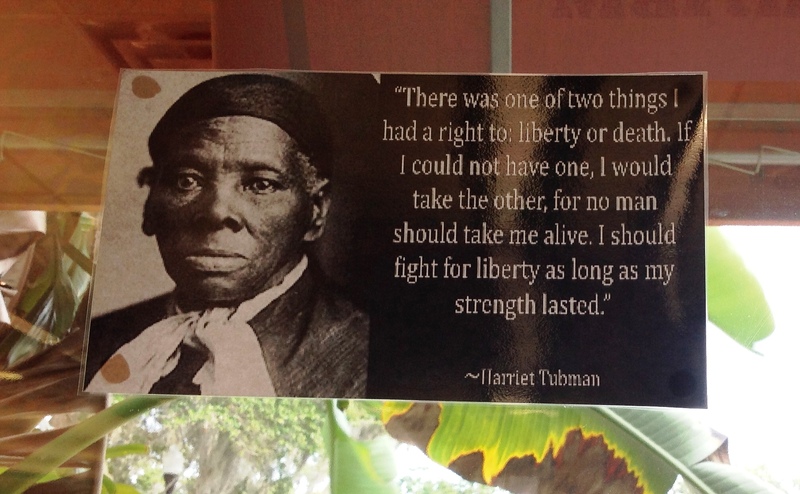 I want all of my teens to be able to have access to characters they can identify with. I’ve included a list of some of my recommended titles below. Any others you think I should add? Comment and let me know! 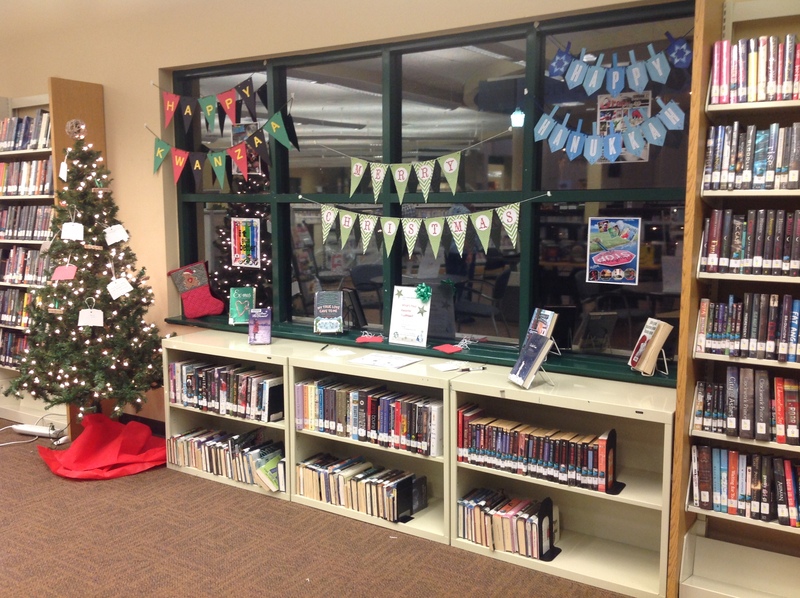 For my December Teen Display, I wanted to do something inclusive and festive. 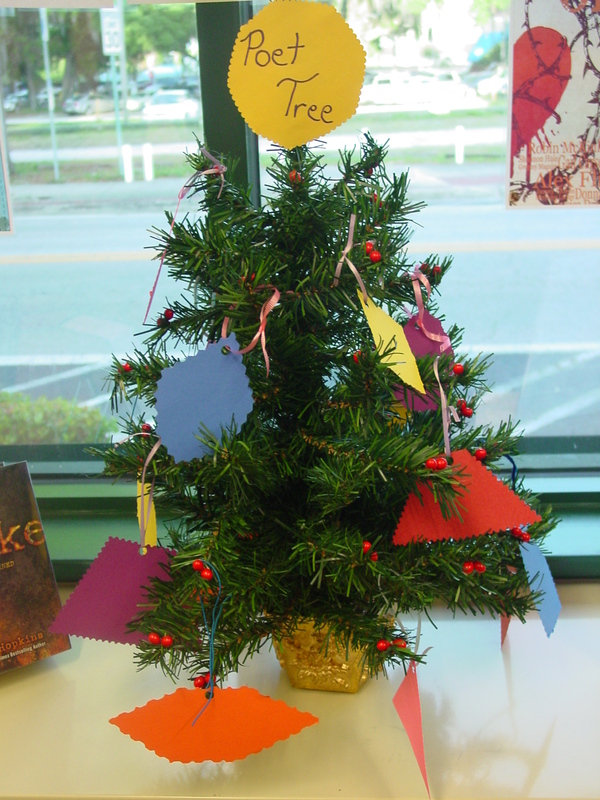 So I decided to create a “Tradition Tree” and put it up in the Teen Section. I created book ornaments using our Ellison Die Cut Machine. 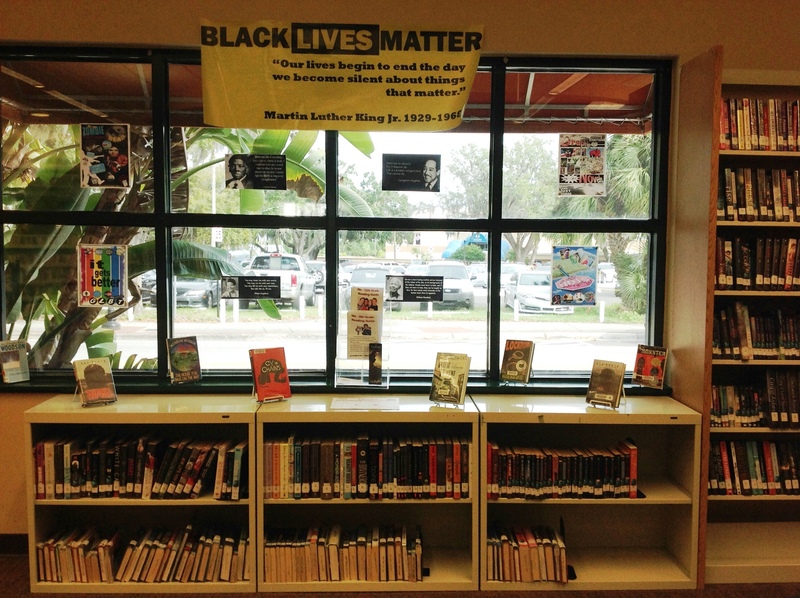 I also hung Christmas, Hanukkah, and Kwanzaa banners in the windows, along with correlating fiction titles. 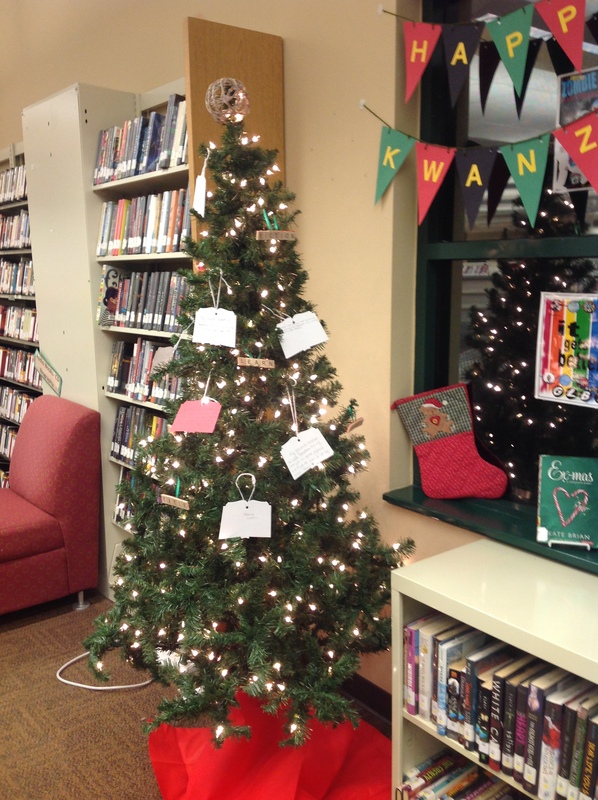 Then I invited our teens to write down their favorite holiday traditions and place them on our tree. So far, this has been a really great passive program. In the first two days alone, ten teenagers have hung ornaments on our tree! I like this display because it celebrates the diversity of our traditions, rather than a generic “happy holidays.” Individually unique, together complete. 🙂 Here’s to the holidays! So we’re bringing back ZombieFest this year in the form of Zombie Prom. We’ll be showing a zombie movie, crowning a zombie king and queen, and dancing to some zombie tunes. 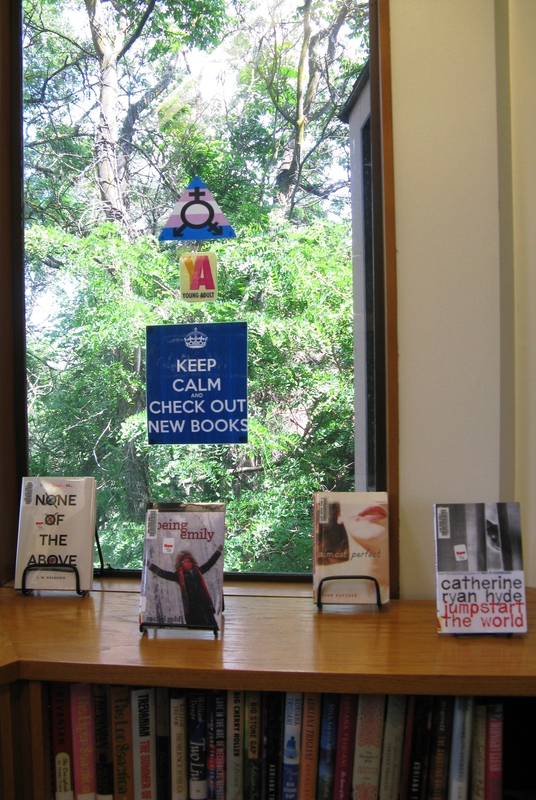 To celebrate and promote our event, I thought I’d create a deliciously creepy book display. 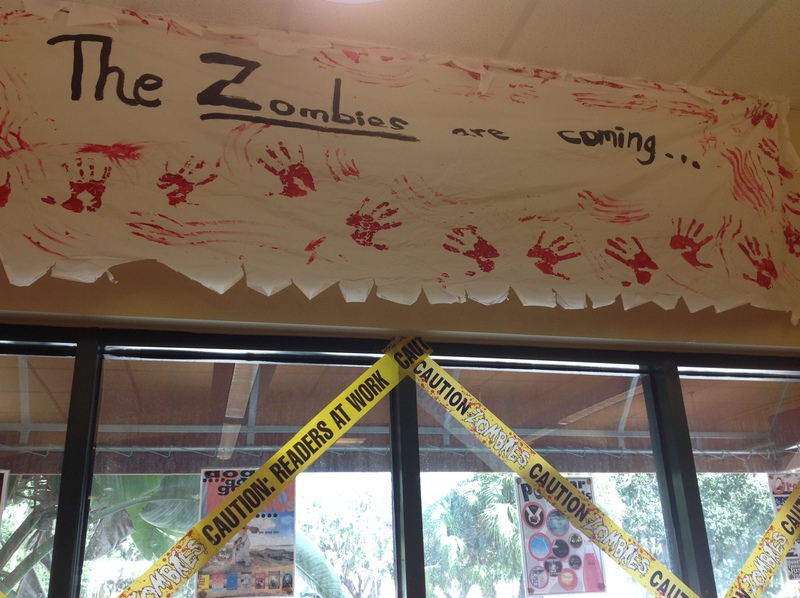 Using a white table cloth and some paint, my teen volunteers helped me create our “The Zombies Are Coming…” banner. 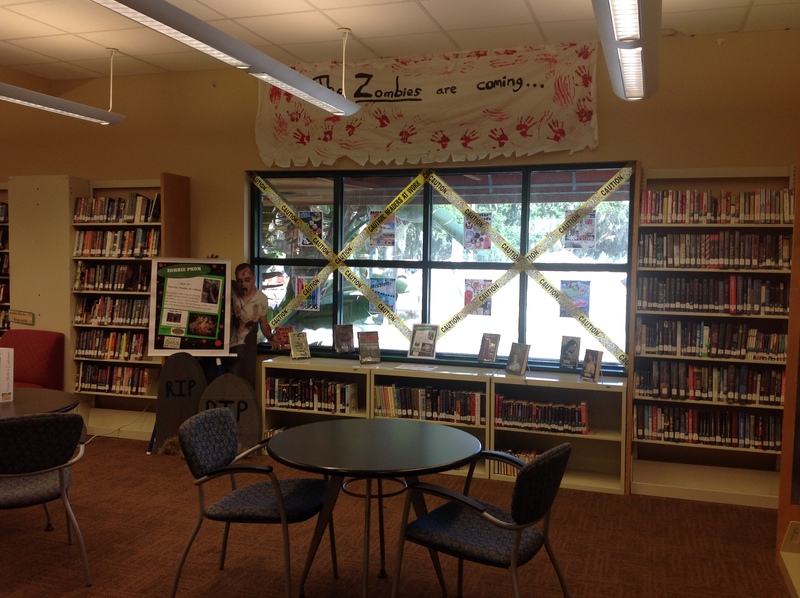 To finish it off, I attached zombie “caution tape” over the windows, along with our zombie standee, a few severed limbs, some moss and a couple tombstones. So far, it’s been a tremendously popular display. 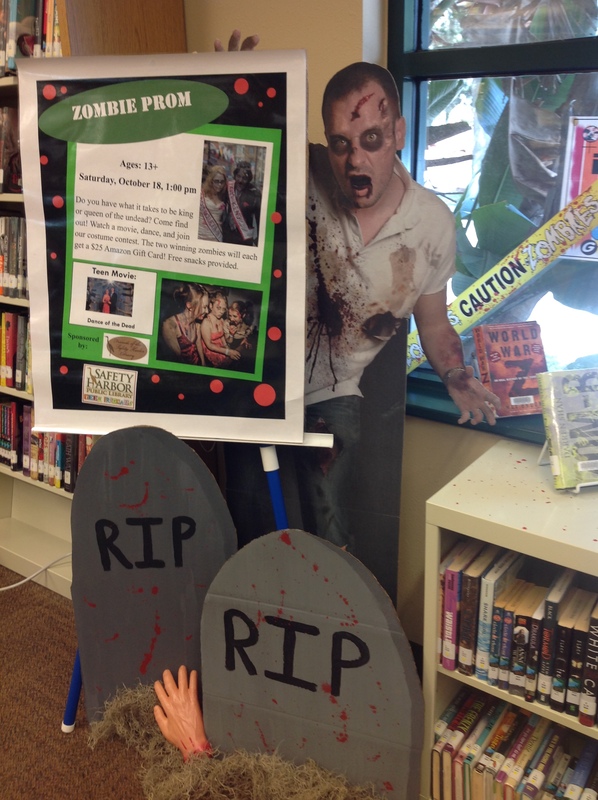 Here’s hoping it’ll help us successfully promote Zombie Prom! 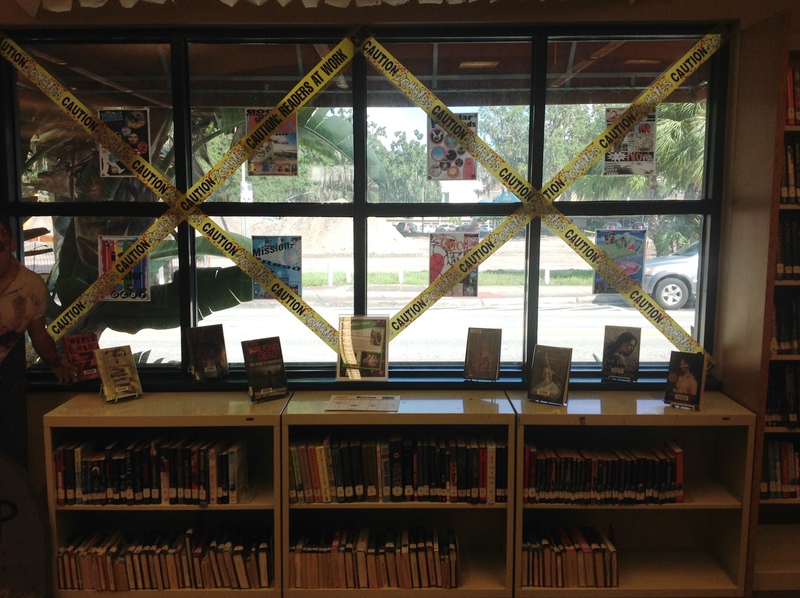 To celebrate Banned Book Week this year, I decided to create an interactive display in our Teen Section. 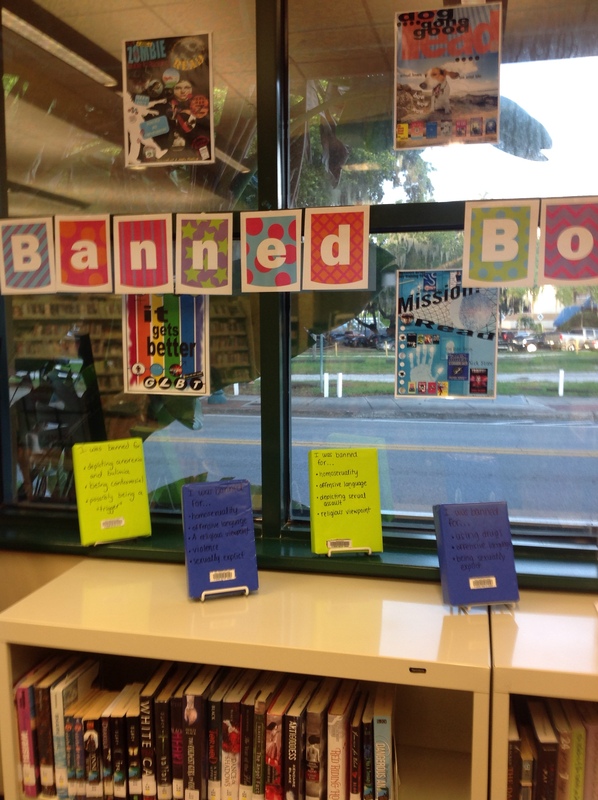 It’s similar to our Blind Date with a Book Display, only – instead of describing the books – I list the reasons why they’re banned. 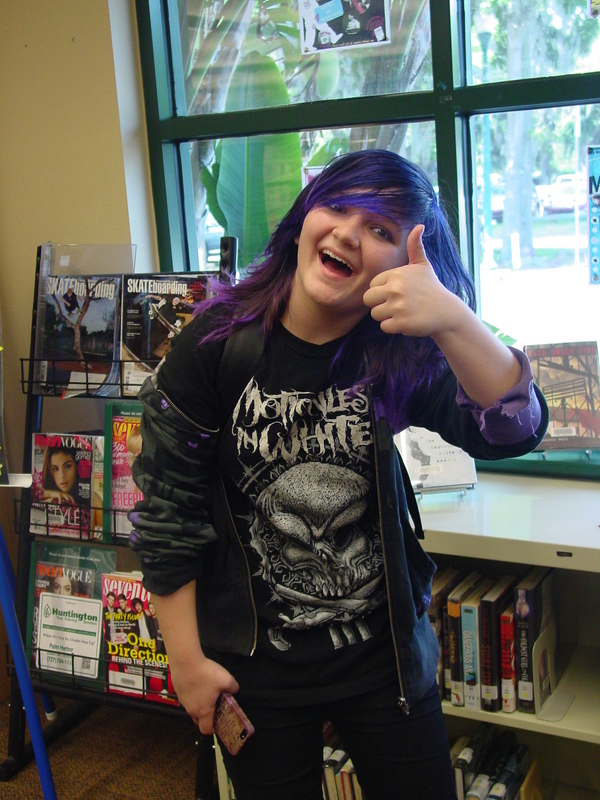 All month long, the teens can check out any of the books on display. After reading, they fill out a card telling me how they felt about the banned book they read and drop it in our raffle box. At the end of the month, we’ll do a drawing from all of the participants for a Target gift card. This has probably been one of our most successful displays yet. Within five minutes of putting my first round out, six out of eight books were already snatched up! 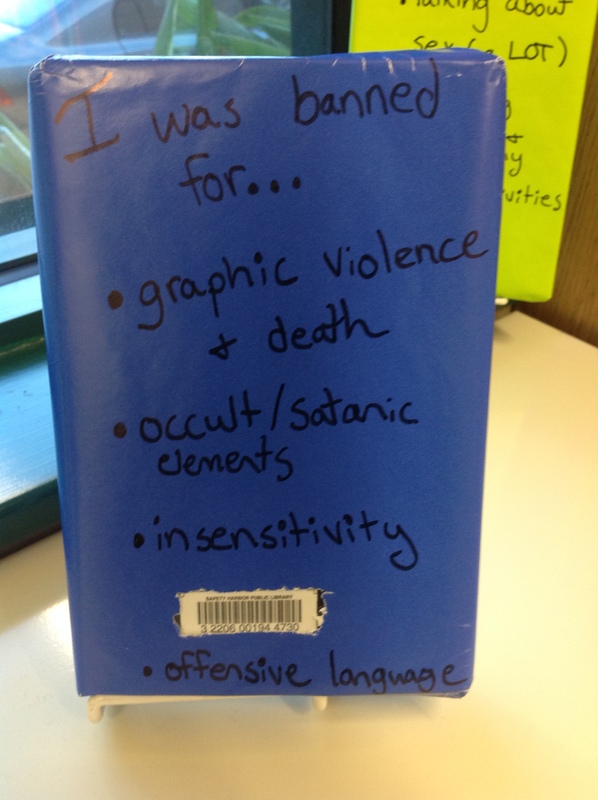 Luckily (or unluckily) I have plenty of other banned books to chose from. 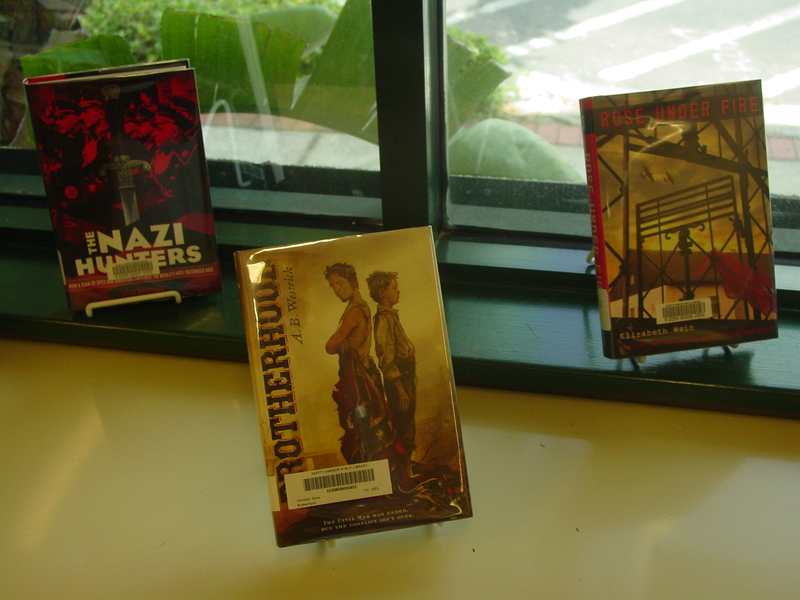 Since May is “Military Month” at the Library (due to Memorial Day), I decided to put together a book display of both fiction and nonfiction featuring US veterans and soldiers. I think it’s all to easy for those of us who don’t come from military backgrounds to overlook the sacrifices these brave men and women have made. So I wanted to do something special to honor them this month. 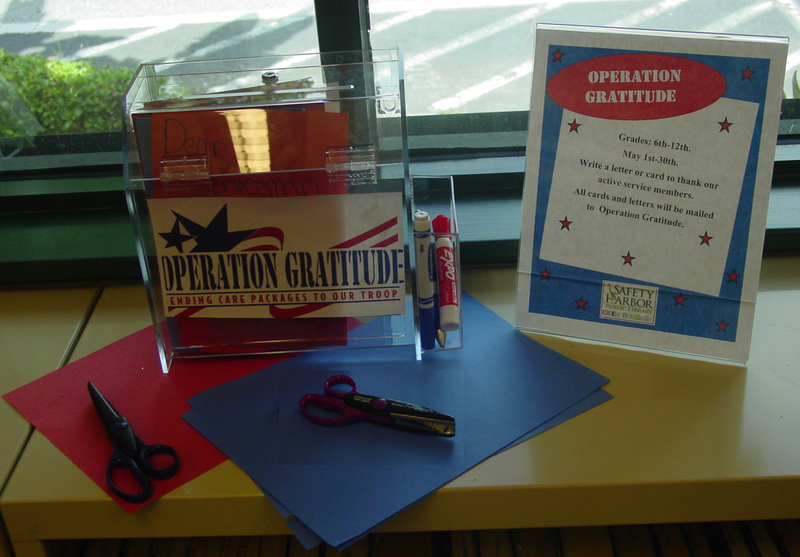 I decided to incorporate a letter box for Operation Gratitude. For those of you unfamiliar with this organization, Operation Gratitude drops care packages for service members overseas. These packages contain everything from chocolate to books to letters, so I wanted to encourage my teens to express their gratitude by making custom cards. 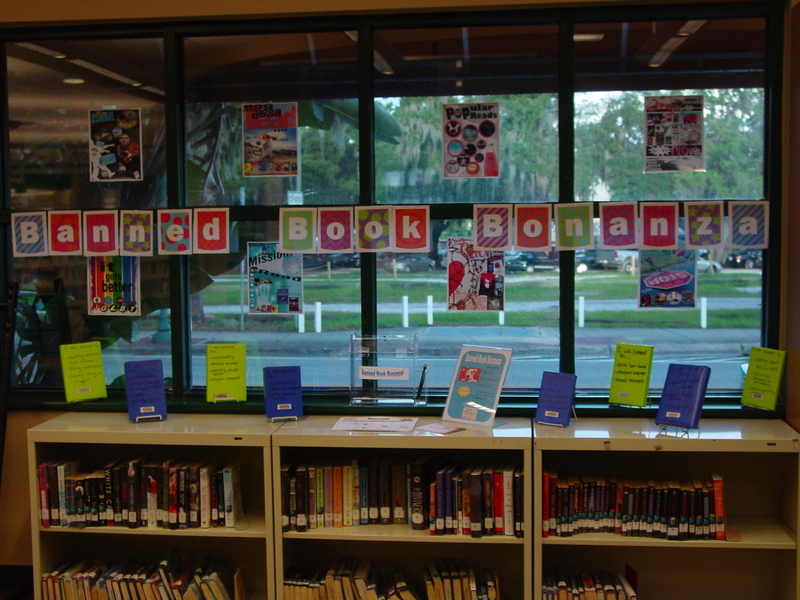 I placed construction paper, scissors, and markers in the middle of the display (bordering them with military books on both sides). The end result was an interactive and attractive display. I wanted to do something fun to celebrate National Poetry Month. 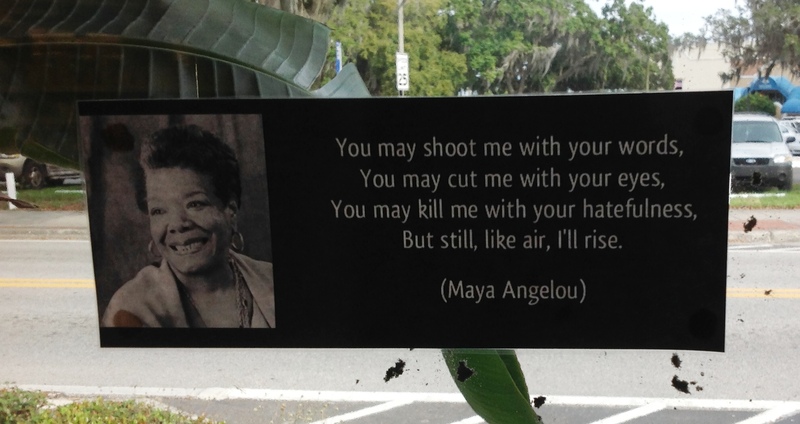 I specialized in poetry in my undergrad program, so it holds a special place in my heart. I also put out some verse novels to complement the tree. All and all, I think it turned out well. 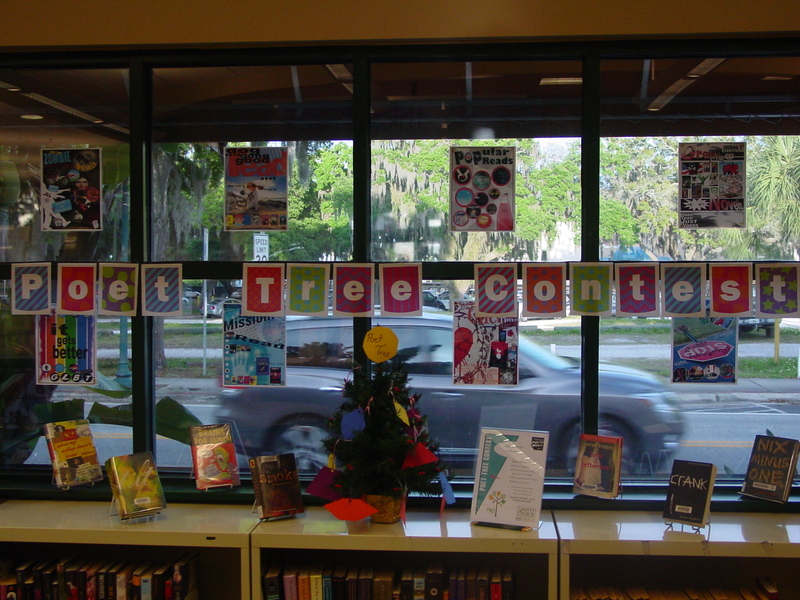 Happy National Poet-Tree Month!